Immaculate 3 bedroom, 3 bath with 3 car garage, office and bonus room. This home has wood / tile throughout, large kitchen with stainless appliances, granite tops, pull out drawers, lots of cabinets and a butlers pantry. Formal dining and breakfast nook to accommodate plenty of guest for your entertaining pleasure. Bedroom closets all have custom built ins, baths are also all finished with granite. 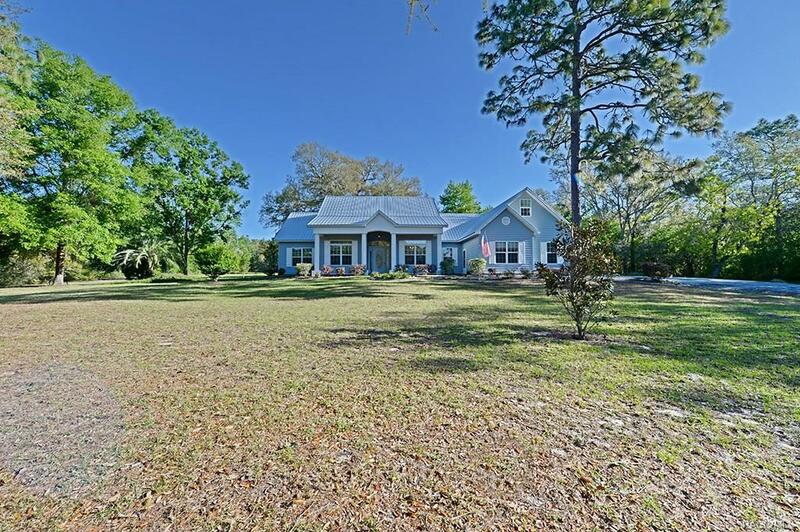 Home is light, bright and very well maintained including a brand new metal roof. Sitting on 3.82 acres of beautiful trees and nature all around you, this is the best of both worlds giving you peace and tranquility yet minutes from everything.